Sahara Wash and Detail is the only safe solution to washing and detailing your vehicle as an express polish or after care product. This does not replace Glare Professional polish. This is a beautiful after care product when your vehicle gets very dirty and you want to clean and maintain the original deep beyond wet look shine you received using the Glare Professional Polish. Sahara Wash and Detail is a safe and effective wash and detail product rolled into one. This product is the perfect solution when water supply is limited. 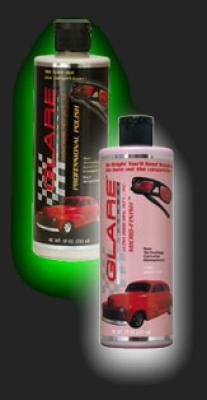 Do not confuse this product with Glare Rapid Action which has a 6 months lasting protection, and is not a wash. Safe on all exterior materials. 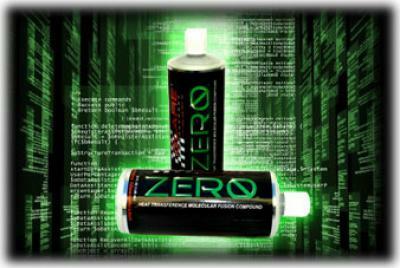 The most revolutionary product of this kind on the market. Easy to use on all cars. Clear coat safe and recommended . This is the best spray polish you can buy. 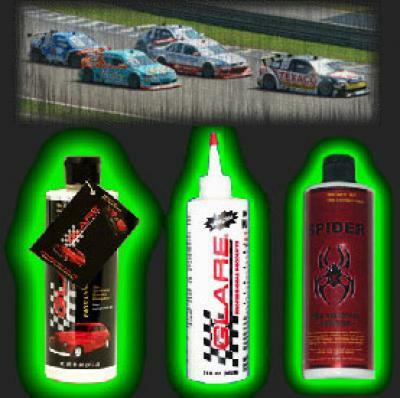 Great for use on motorcycles, glass, and polycarbonate as well. BEYOND 22ND CENTURY TECHNOLOGY! Glare Tire Magic will filter out harmful Ultra Violet Rays from the sun. Extreme temperature resistant formula for all climates. Stops tires Rubber/Plastic from cracking and fading. Gives a beautiful rich natural high gloss finish. Tire Magic is Great for all Auto Trim, on all kind of Vehicles. Nothing like it. Splatter resistant formula. Easy to use - just spray and wipe! Nothing like this product on the market!!! Beyond 22nd Century Technology! Shines so bright, you will need sunglasses!. A non-stick high-gloss all-weather sealant. The finest polish for your car, airplane, boat, motorcycle, glass, stainless steel, fiberglass, chrome, Carbon Graphite, and RV in the worlds market. Filters out UV Rays, turns to glass on and within your paint. Contains Glassplexin®. Bonds molecularly to your paint. The most revolutionary polish ever developed. Beyond 22nd century technology. Lasts up to five years. 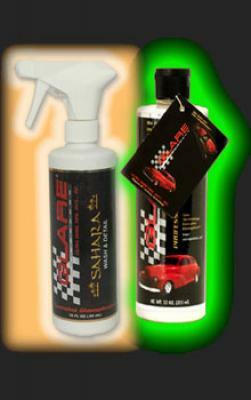 Sahara Wash and Detail is the only safe solution to washing and detailing your vehicle as an after car care product. 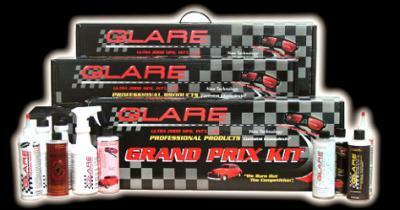 This does not replace Glare Professional polish. This is a beautiful after care product when your vehicle gets very dirty and you want to clean and maintain the original deep beyond wet look shine you received using the Glare Professional Polish. 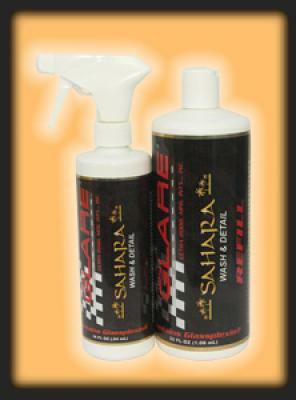 Sahara Wash and Detail is a safe and effective wash and detail product rolled into one. Perfect when water supply is limited. 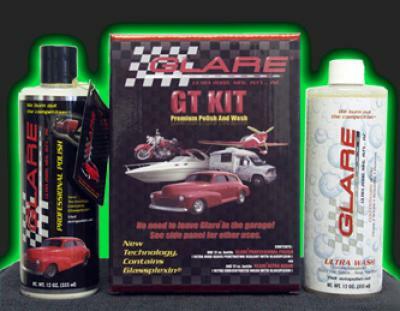 Do not confuse this product with Glare Rapid Action which has a 6 months lasting protection, and is not a wash. Safe on all exterior materials. The most revolutionary product of this kind on the market. Easy to use on all cars. Clear coat safe and recommended . 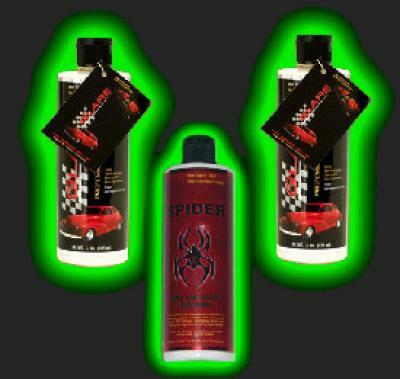 One of the best Motorcycle spray polishes you can buy. Beyond 22nd Century Technology!